Velvet Paw Creations: Boys over Flowers - New Release at The East Wind! 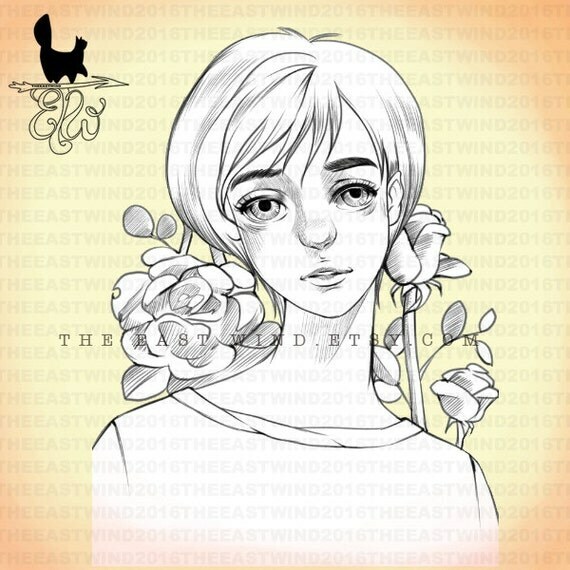 Boys over Flowers - New Release at The East Wind! 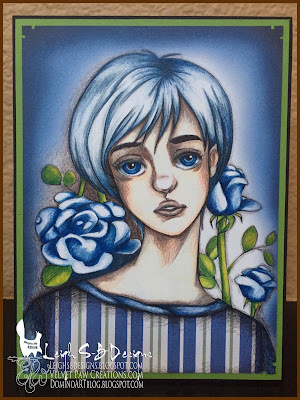 I'm back today to share today's new release digi over at The East Wind "Boys Over Flowers"! 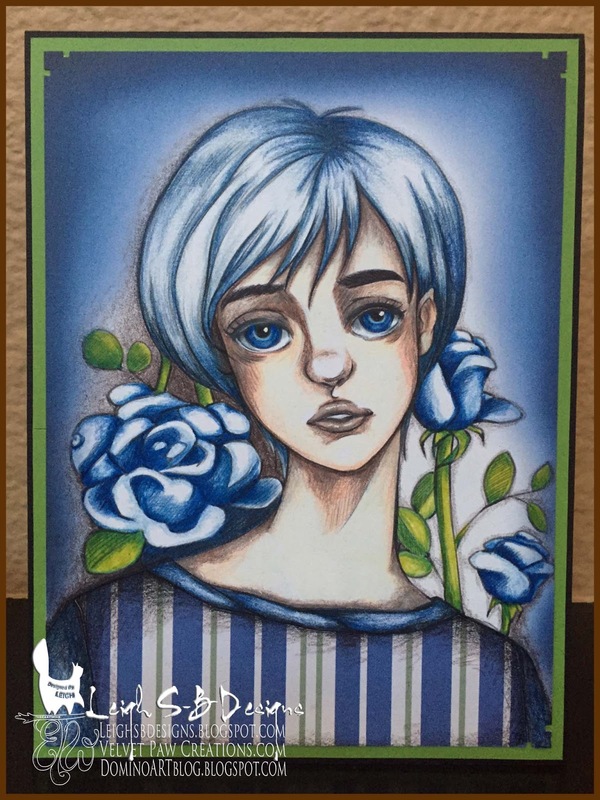 The blue background was done in Photoshop CS6 and then I printed him out onto Neenah cardstock. I coloured the image with Prismacolor pencils and the brown shadow background area is Prismacolor pencil too. 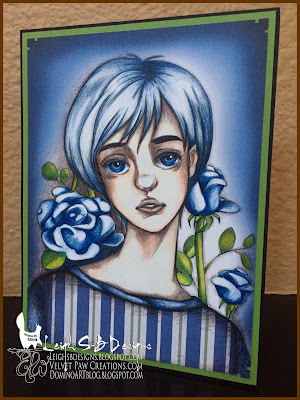 I had so much fun doing my Tartan Rose girl for our current challenge Paper Piecing that I decided to paper piece his t-shirt! 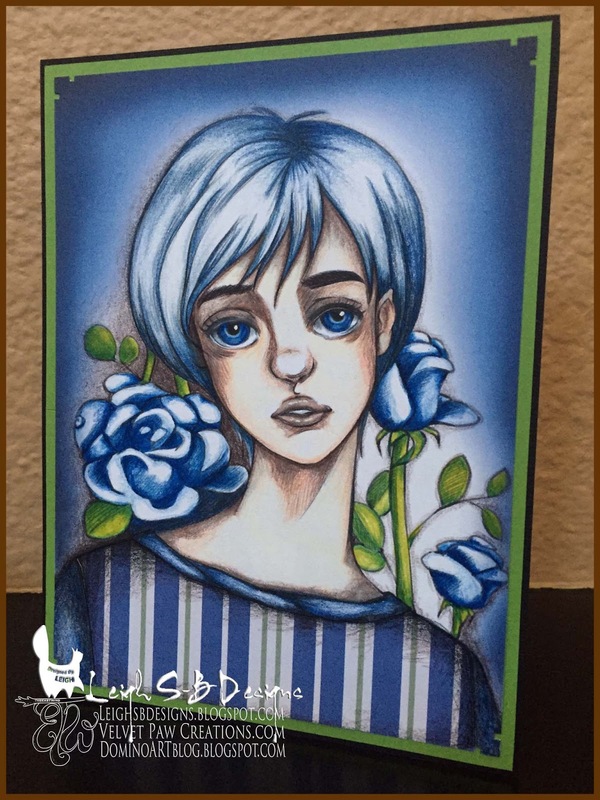 The paper is from the same paper pack I used for Tartan Rose too. I used a simple geometric paper punch to add a touch of decoration to the corners and then matted the coloured panel onto green cardstock and then onto a folded card made from black cardstock. 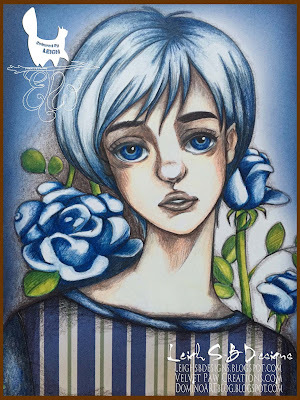 Love the blues, wonderful work! Durer Art Nudes - Lost Coast Designs DT! "Tartan Rose" for The East Wind DT! "Marilyn Monroe" The East Wind DT!